As I mentioned in a previous post, the Arcee introduced in the 1986 movie was a more caring character, constantly looking out for the welfare of her teammates and especially their human companion Daniel. While these traits were admirable and made her stand out among her more combat centered Autobots, one could argue that these traits were for better or worse often associated with the female gender anyway making her status as a “token” even more reinforced. Given that, it seems writers across the different comics and cartoons that followed the ‘86 movie have made a more conscious effort of making Arcee even more unique. Here are a few notable versions of Arcee that have existed through the years, that have been quite different from the original character. Despite some positive points like amazing CGI work, the live action Transformers movie franchise is infamous for pretty much giving us robots with close to zero personalities. 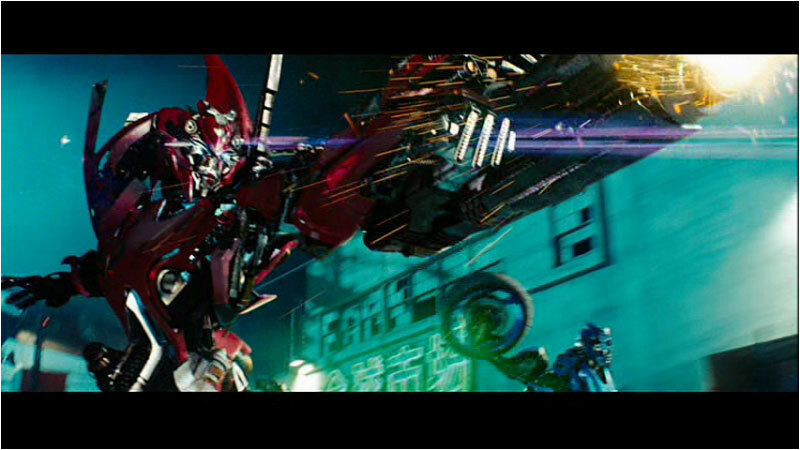 And unfortunately, the live action version of Arcee is no exception. However, although the movie writers should get no credit for characterization, they did make a unique version of Arcee appearance-wise. 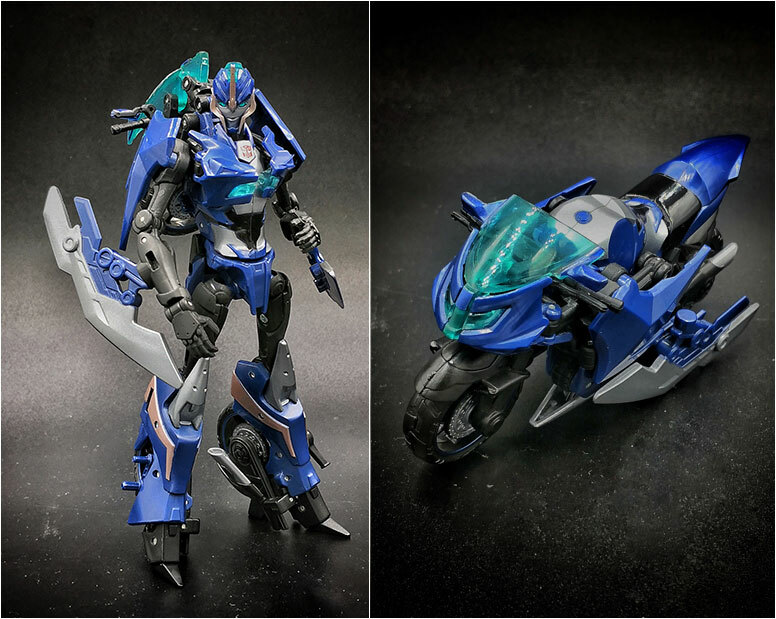 While the original Arcee transformed into a futuristic car, this live action movie version would be one of the first to change her alt mode into a motorcycle. 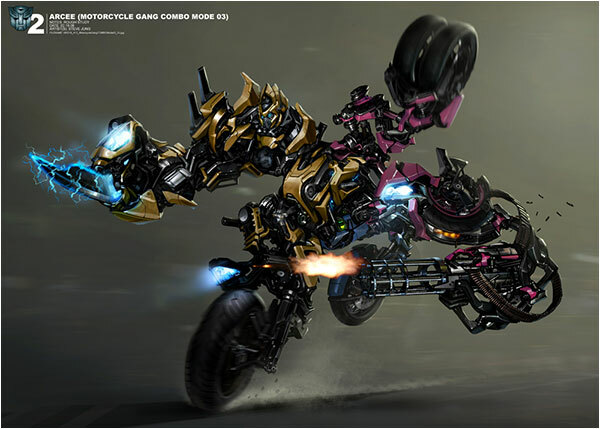 During the early production stages of the first movie, Arcee was earmarked to be part of the initial cast of the Autobots, but she was later dropped because her motorcycle alt mode would make her robot mode only slightly larger than a human and they wanted to feature bigger robots. 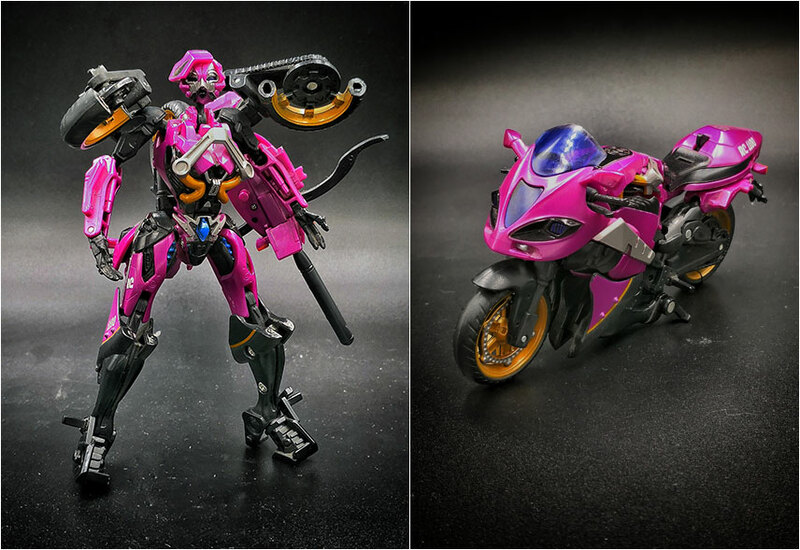 Despite not actually appearing in the movie though, Hasbro did release a decent toy for this version of Arcee which I guess was based off their design concepts. Arcee would eventually make her live action debut as a new Autobot introduced in the second movie, 2009’s Revenge of the Fallen. 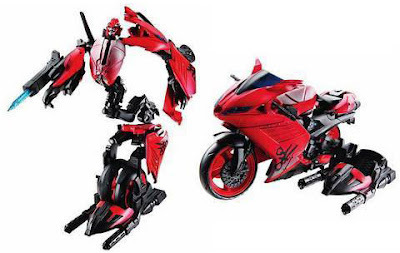 Although they still kept her bike alt mode, they added a twist to her original design making her the part of a trio of robots along with her other bike “sisters” Chromia & Elita-1. Early design concepts showed that the original idea was to have these 3 characters have the ability to merge to one robot (thus solving the problem of having a robot that was too small) but this was never shown in the movie. 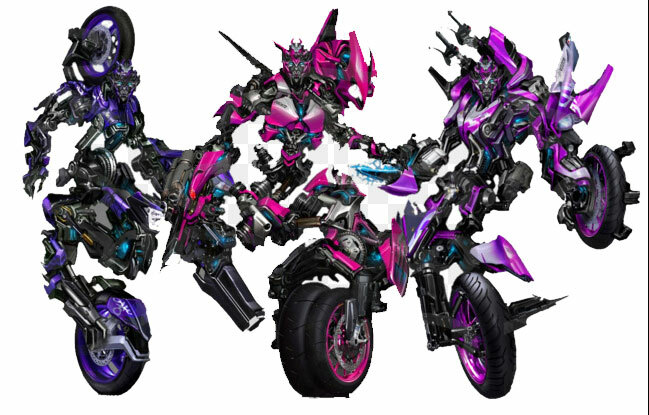 In fact, Arcee and her sisters were pretty much background characters who to my knowledge were never referred to by name (I could be wrong). They just had one action sequence in the beginning in the movie, and were unceremoniously killed off in the climactic battle in the end. And they were never heard of again. Fortunately, the next 2 versions of Arcee give more justice to the character. 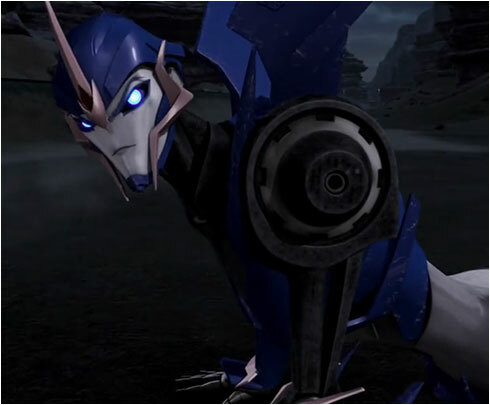 In 2010, Arcee was part of the main cast to the CGI animated series Transformers:Prime which while being a completely new series, shared similar concepts and design cues with the live action movies. Fortunately, the writing and characterization of this series was much MUCH better. 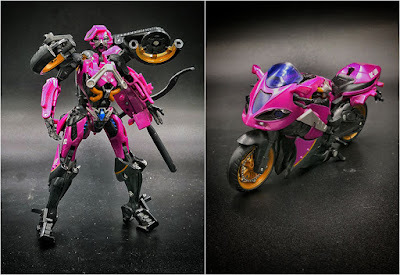 Like the movie Arcee, “Prime” Arcee also transformed into a motorcycle but it would be worth noting that she broke tradition in that she was a blue motorcycle as opposed to past Arcees who were predominantly pink. The reason for this change was that she was meant to partner up with one of their lead humans Jack Darby, who was a guy. And the writers felt it would be odd to have a guy ride around in a pink motorcycle. Anyway, this Arcee, while still displaying a caring side was more brash and jaded than her original version. 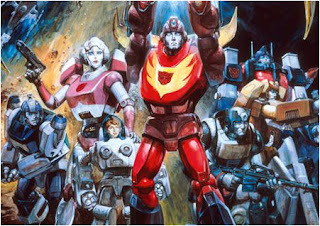 It is explained that she suffers from a form of PTSD from having lost 2 of her partners in the past, the Autobot Tailgate who was killed in Cybertron, and more recently Cliffjumper, who in a way to shock the audience, was initially introduced as a main character in promos and then killed off in the first episode. 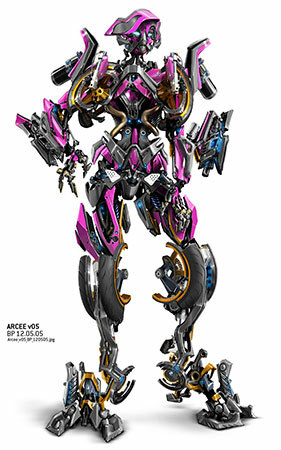 This Arcee is one of the most heavily featured characters in the entire series with her personal story arc being one of the main focuses of the show. 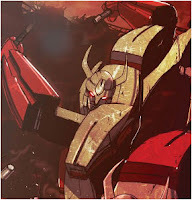 After Cliffjumper’s death, she starts off withdrawn from the team and is hesitant to build new relationships out of fear of losing anyone else. Over time she slowly learns to cope with her losses and move forward with yet another new partner in Jack. It also goes without saying that she is a more formidable and accomplished warrior in this series. 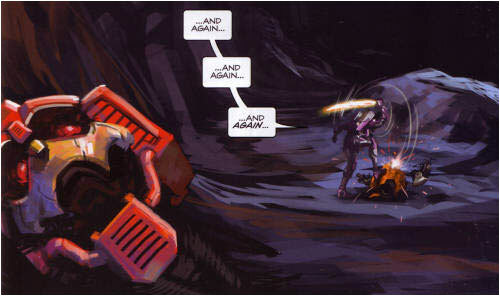 Finally we have Arcee as featured in the IDW comics. Now the IDW comic universe which started in 2005 is the longest Transformers universe continuity ever written, almost doubling the original Marvel run and is considered by many to be the best iteration of any Transformers continuity. It is known for featuring and expanding on many 3rd and 4th tier characters making many of them new fan favorites, as well as redefining more iconic ones. And their version of Arcee is no exception making her an exceptionally dangerous, violent and accomplished warrior with quite the dare I say controversial origin. Unlike the original Arcee who just “appeared” in the 1986 movie, the IDW universe set to give her a proper origin which by their book started millions of years ago well before there were even Autobot & Decepticon factions. 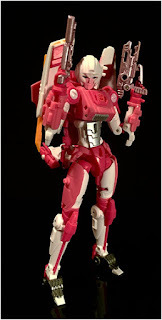 Way back when, Arcee was better known as Arcee of the Darklands, a savage warrior who battled in the gladiatorial arena of HIS master Septimus Prime. Yup you read right, in the IDW universe, Arcee was originally a male Transformer and more than that, HE was the twin brother of another iconic Transformer, Galvatron, who in this continuity was a completely separate character from Megatron. 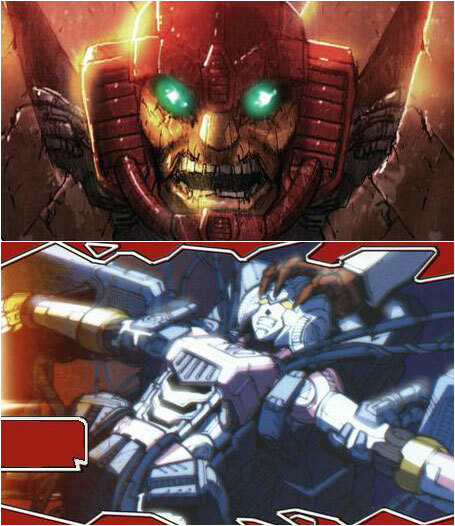 Anyway, over the years both Arcee and Galvatron served under different masters but ultimately went their separate ways. Arcee eventually came across the mad genius Jhiaxus who was attempting to reintroduce the female gender back into the Transformers species (the whole male - female Transformers issue is a whole other story that I’d rather not get into now). Having never felt completely comfortable in his current body, Arcee allowed himself to be experimented on by Jhiaxus eventually “transforming” him into the female Arcee that we are more familiar with. Unfortunately the end result didn’t live up to Jhiaxus’ expectations and he abandoned her considering her as a reject. 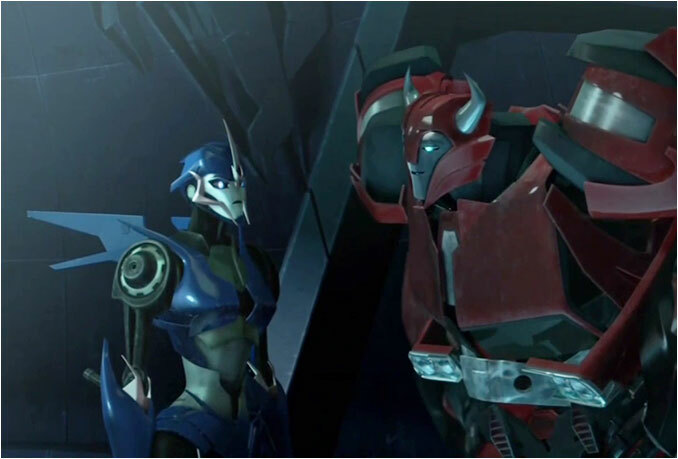 This left Arcee mentally unhinged and she spent a good part of her existence hunting down Jhiaxus hellbent on his destruction and any other experiments and individuals associated with him. Ironically when she finally caught up with him, they ended up in a location that was under the influence of the Dead Universe and as a result, Jhiaxus could not die, so she spent the next six years or so killing him over and over again which fortunately had a positive effect on her straightening up her head. Eventually, she officially joined the Autobot cause and the rest is history. 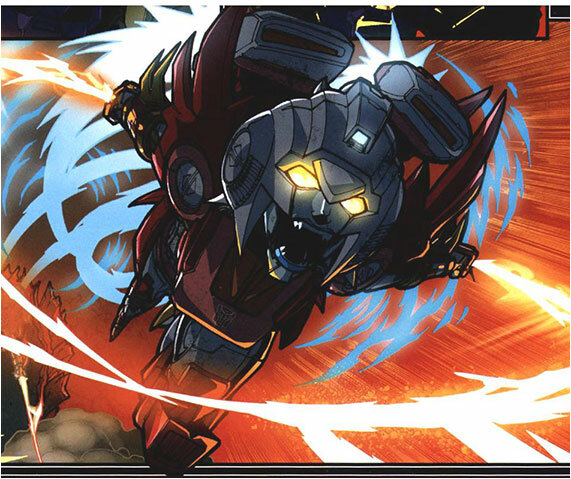 So the IDW version of Arcee is definitely the most radical take on the character with a whole lot more details that I purposely left out to keep it as basic as possible for people not quite interested in knowing all the gritty details. For those who would like to know more you can read it all here. 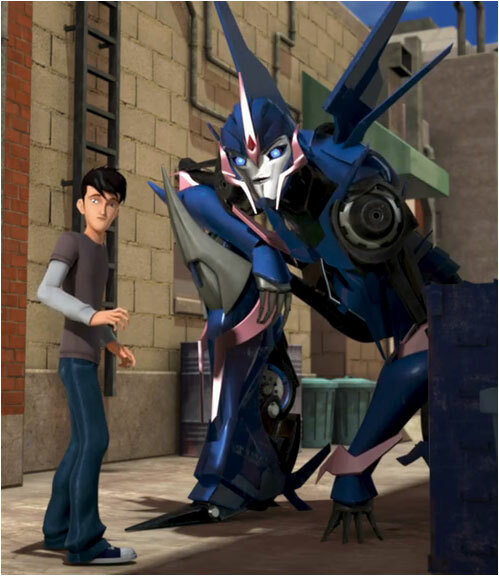 Her story also delves into trying to introduce and explain the new concepts of sexuality and gender in the Transformers universe, something that is most often glossed over and ignored in most other iterations. It’s not something that I honestly feel is necessary but I can still appreciate for enriching the mythos as a whole. 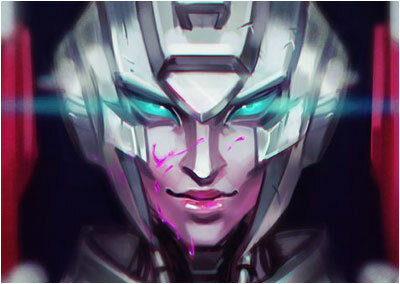 Anyway, while I am not that huge on the idea of Arcee originally being male and being a failed experiment, I have to admit that it is a genuine attempt by the writers at IDW to bring something new on the table to the Arcee character.